Balanced cantilever construction is an economical method when access from the below is expensive or practically impossible. Segments may be cast in-situ or precast concrete normally with a box shape cross-section. Construction starts from the top of a pier, with the segment normally fixed to the pier either permanently or temporarily during the construction. (Construction can be carried out from an abutment provided there is a balancing weight to counteract the segments in the span). For further information see Concrete Society Current Practice Sheet 153, Balanced cantilever bridges, published in CONCRETE in November 2007. 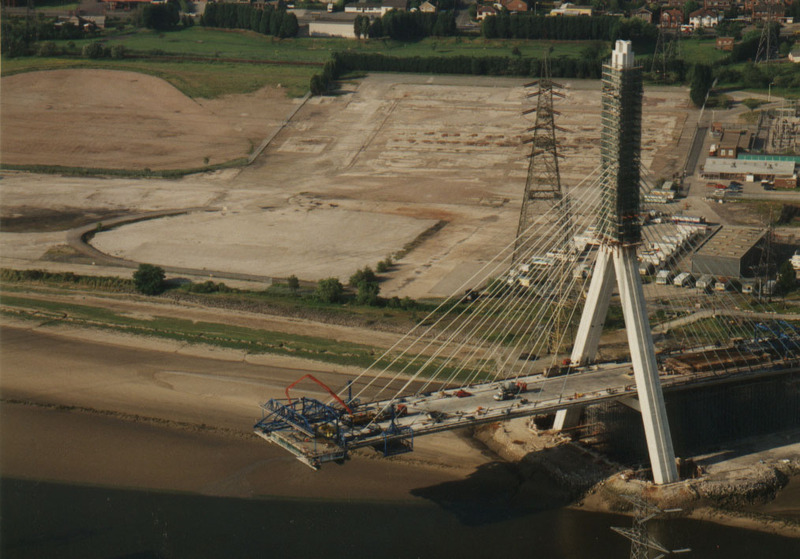 Copies of the Current Practice Sheet may be downloaded from the Members’ Area of the Concrete Society web site or from the Concrete Bridge Development Group (CBDG) website. The information contained in this nugget has been provided by The Concrete Society technical staff.